Your baby can’t talk yet. He can’t use words to explain his physical pain and his emotional suffering. Even if he could, he doesn’t have the life experience to anticipate what his pain and suffering will be like in the future. Even without verbal communication, however, you do not doubt that your baby is suffering physically and emotionally. Your child deserves to make a full and fair recovery for these injuries. The extent of your baby’s injuries, how long they are expected to continue, and the types of treatments that are required are all relevant to the extent of your child’s physical pain and emotional suffering. No one can predict the future, but experts in the field of your baby’s birth injury can provide useful information about your child’s future. 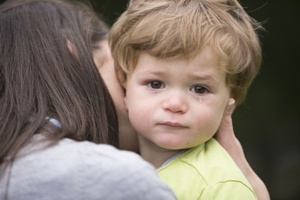 This information includes descriptions of the physical pain that your child may continue to experience and the emotional suffering that often comes along with your child’s type of injury. Additionally, life care planners and other experts recommended by your lawyer can help prove the value of your child’s damages. As a parent, you are in a unique position to explain the quality of life your child lives on a day to day basis (possibly compared to a sibling) and the extent to which your child is suffering because of a birth injury. Together, this information can paint a vivid picture of the extent of your child’s physical pain and emotional suffering and help you determine the financial value from a personal injury standpoint. Once you have an idea of what your child’s pain and suffering is worth, you need to negotiate with the right insurance companies or defendants to make sure that your child gets a fair recovery. Our experienced legal team includes not only birth injury lawyers, but also a staff nurse. If your child has suffered a birth injury in Kentucky, we will help you determine what your child’s pain and suffering damages should include and then we will fight hard to see that your child gets that money. Call us at 888.450.4456 or contact us via this website at any time, 24/7/365, to schedule a free, no-obligation consultation with us so that you can learn more about your child’s pain and suffering recovery after a birth injury and about the other damages that your child may be able to recover after a Kentucky birth injury.